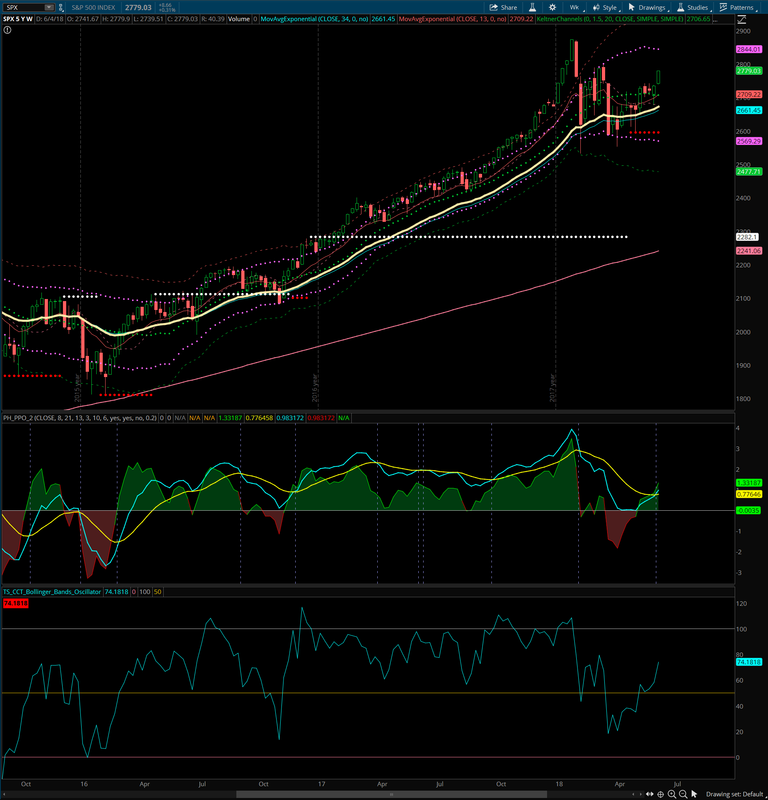 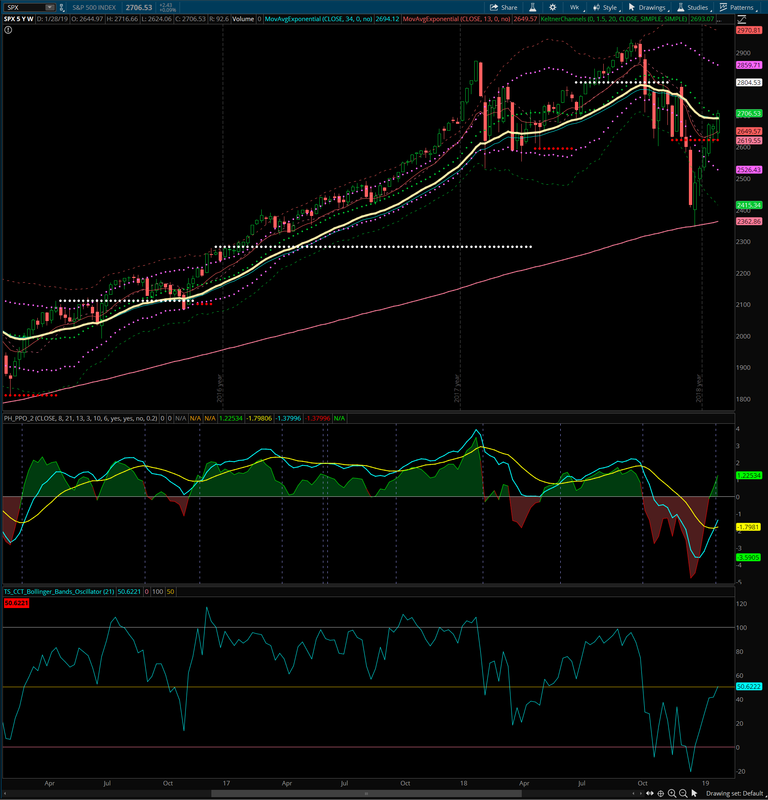 The S&P 500 weekly review is showing a close in the upper Keltner channel. 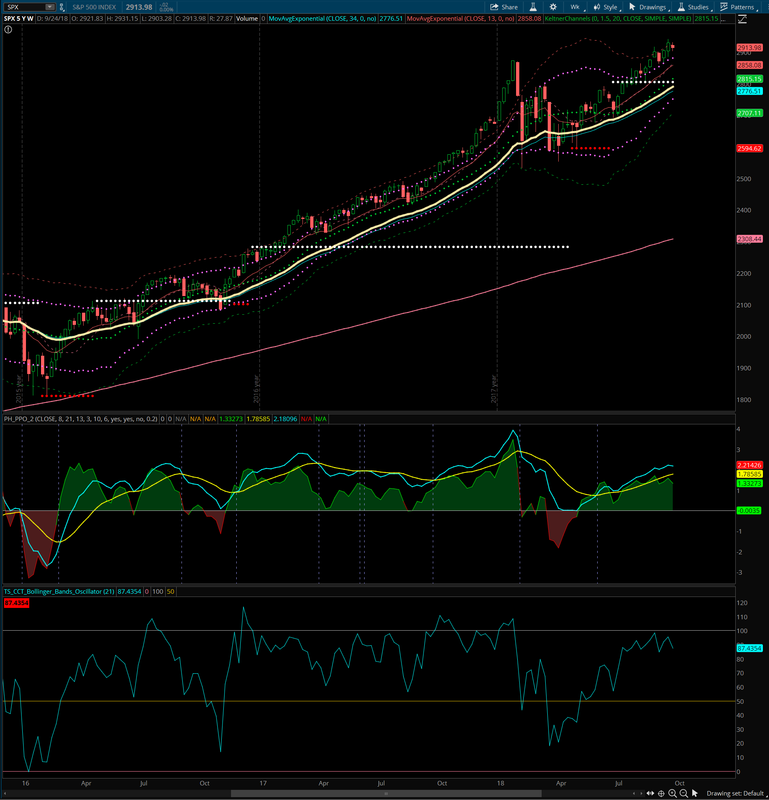 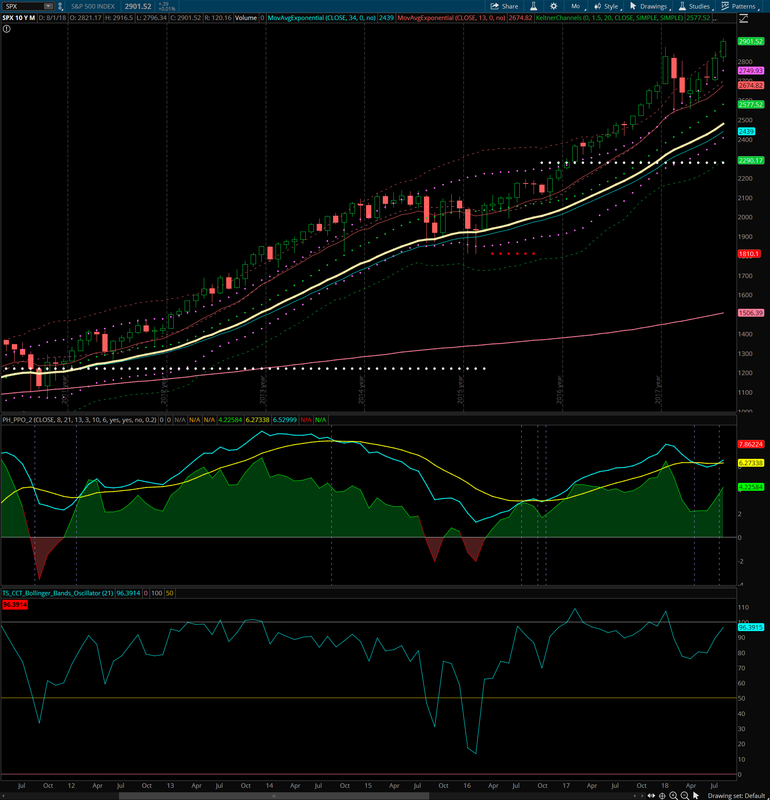 Oscillators are showing a buy signal. 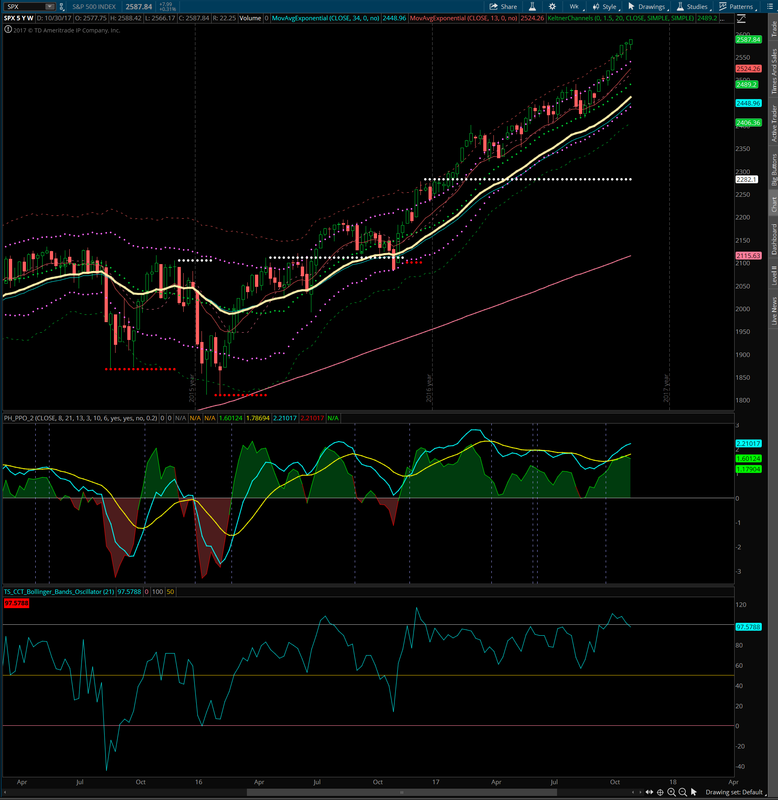 If the market continues to show strength, 2859 may eventually be tested in the coming months.